Creeping FigEvergreen vine. Fast growth. Juvenile foliage is small heart-shaped and medium green. Vi..
Variegated Creeping FigEvergreen vine. Fast growth. 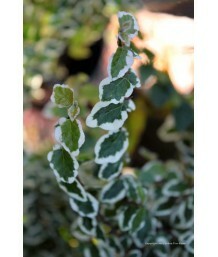 Small, variegated, heart shaped, green and white..